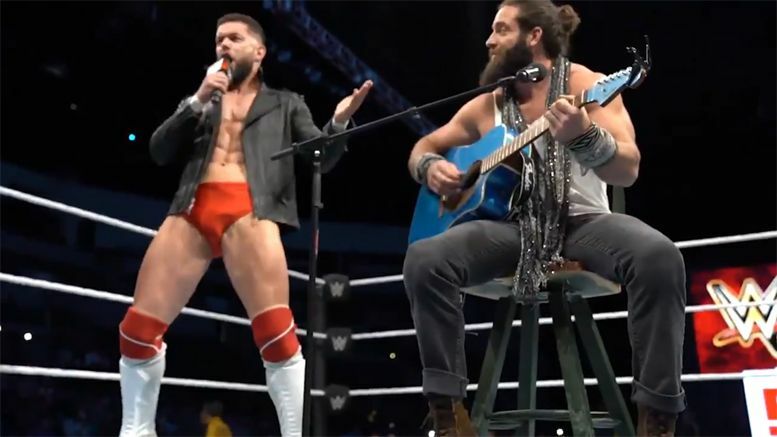 WATCH: Elias and Finn Balor Sing Shallow from "A Star is Born"
Elias and Finn Balor have gone off the deep end, so to speak … as the two wrestlers busted out a rendition of “Shallow” during a recent live event. Elias assumed the role of Bradley Cooper while Finn sang the Lady Gaga parts in a droll Irish croon that no doubt melted the heart of every grandmother in the building. The harmonious relationship didn’t last as long as Cooper/Gaga, nor did they have the same sexual tension, but it’s still worth watching. Watch the video of their “Shallow” performance below.